Tired of the gray Siri wallpaper? Download and install the free Siri Background Colors app from Cydia and it will add a few special Siri themes to your Winterboard. Turn on any of these themes in Winterboard and after a respring, the background image used in Siri will change to use the new colors. 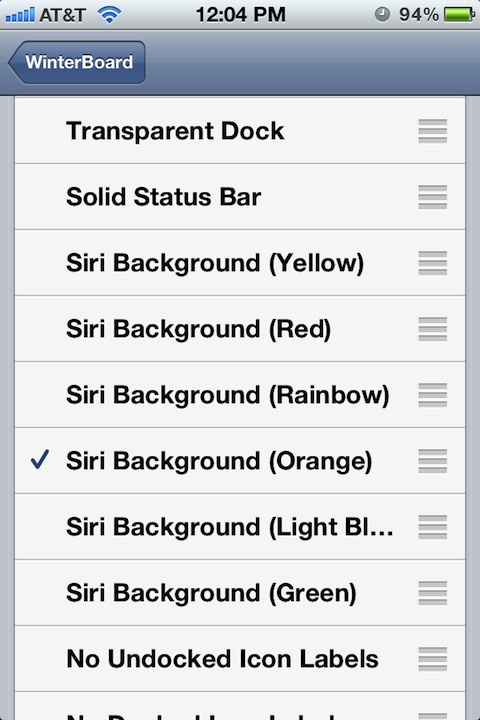 You can use the Siri Background Colors mod on your jailbroken iPhone 4S or any other iPhone as long as Siri is installed. The backgrounds are not animated, but this is still a pretty neat mod that you can use to impress and or confuse your friends. 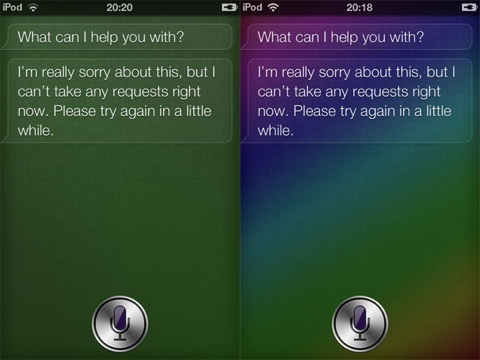 Here is a sample of how your Siri could look with the Siri Background Colors hack installed. AppSafari review of Siri Background Colors was written by Joe Seifi on January 24th, 2012 and categorized under Cydia Apps. Page viewed 7046 times, 1 so far today. Need help on using these apps? Please read the Help Page.